John Sutch Cranes continues to drive forward by investing £3.7million into new fleet and machinery. The long established, market leading North West firm continues to consolidate its presence across all sectors including the construction, civil engineering and oil and gas industries, purchasing nine new machines. The acquisition includes Six Axle Spierings, a mobile tower crane that is extremely flexible and can be used in a range of lifting jobs. 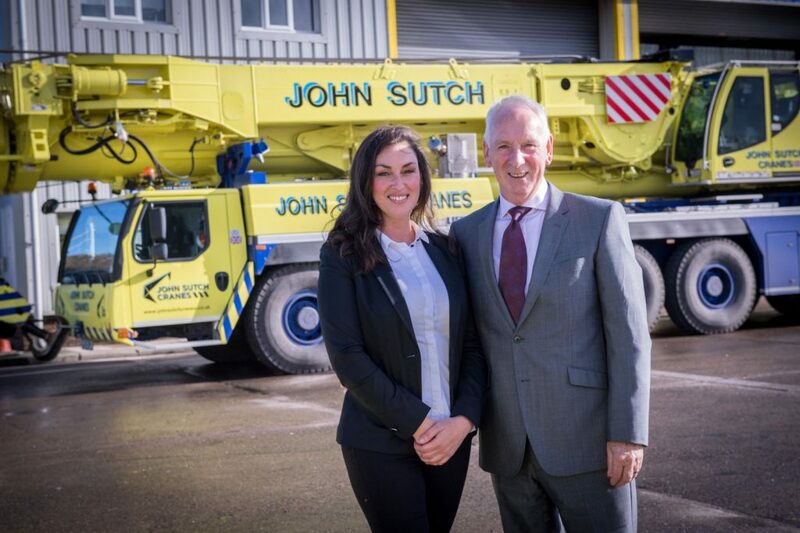 Hayley Sutch, MD Designate of John Sutch Cranes explained: “These cranes are consistently in high demand and is probably the most popular choice due to their flexible and versatile nature lifting up to 3 tonnes and with a maximum radius of 60 metres. Adding these to our fleet ties in with our wider growth strategy across all sectors. A new 250t Terex crane and 300t Liebherr crane supports the firm growth in the heavy cranes sector. Hayley continued: “We are driving forward our presence in the heavy crane sector and following our purchase last year of the 350t machine, are keen to add further weight to our fleet. These two additions will undoubtedly help consolidate our position in this sector and allow us to continue to penetrate this market. The 70t Tadano, a truck mounted vehicle, forms the final piece in the purchase programme, providing greater flexibility for travelling whilst also complementing the existing 45t truck.